Help us meet our $5,000 matching grant. An angel funder has created this matching grant to inspire us all. Please join a heavenly gathering of forces to help us replenish Lyra’s earthly coffers. This matching offer expires on March 15. Like so many good things in life, this opportunity is fleeting, so donate today and double your impact. 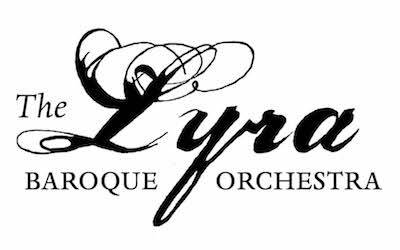 Lyra has had a momentous season already, from the glorious performances of Bach’s Christmas Oratorio and Vivaldi’s Four Seasons to the release of our first CD in over 15 years. But we aren’t done yet! Our March concert, Divine Bach and Handel, will feature J.S. Bach’s Lutheran Mass in A Major and Handel’s Dixit Dominus, performed in partnership with the Grinnell Singers and four renowned soloists. All these divine performers do require terrestrial money — and you can help. Yes — your heavenly reward. The first 25 to donate $250 or more will receive one ticket with exclusive seating at Jacques Ogg’s solo recital on March 12 at 7:30 p.m. at the Baroque Room in St. Paul. Double your impact and give the gift of divine intervention to Lyra today.